Here are some living room paint ideas from Boysen based on the holiday hue Contemporary Luxe. 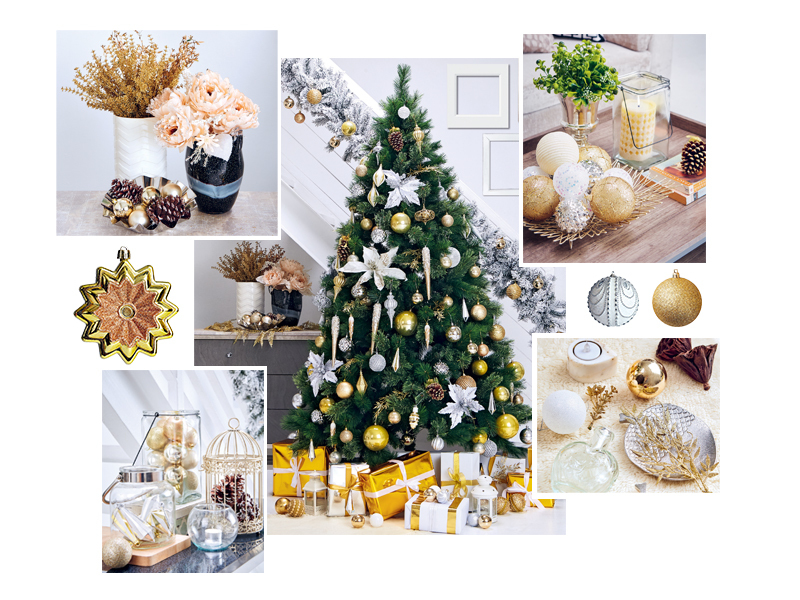 Gold and silver — their gleam add such a luxe vibe to any Christmas tableau. Who wouldn’t want that gorgeous glitter to help make your holiday season shine like no other? Very fitting for festivities with family and friends at home. ‘From angels bending near the earth to touch their harps of gold’ to ‘silver bells’, those are the sparkles we’d like. No frost, no snow or ice to glisten in this country, but who cares? We can always bring some of that into our homes with all the bells, balls, baubles and tinsel available. Add fairy lights for more sparkle, and you’ve got that Christmas ambience going full blast.